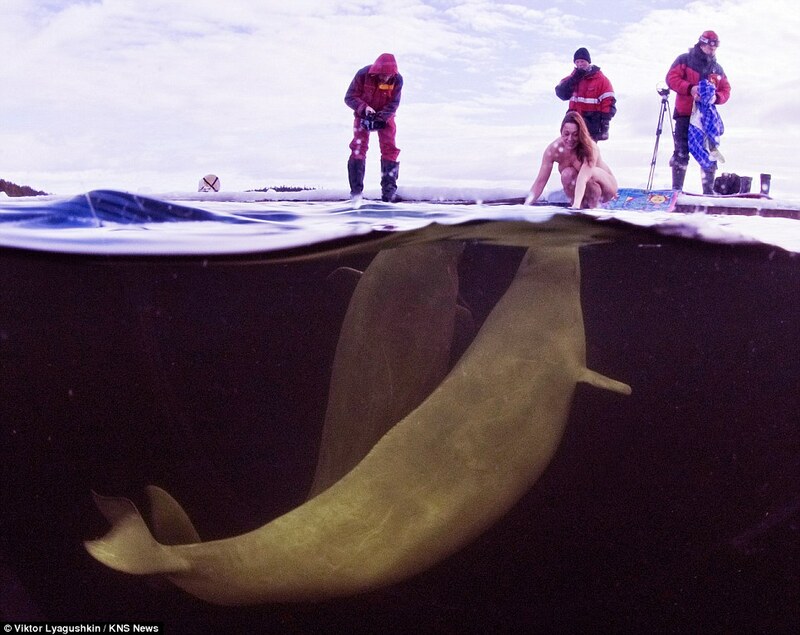 Belugas are famed for the way in which their faces are able to convey human-like expressions. Certainly Matrena and Nilma seemed to enjoy frolicking with Natalia. The taming of the whales happened in the Murmansk Oblast region in the far north-west of Russia at the shore of the White Sea near the Arctic Circle branch of the Utrish Dophinarium. An area of the sea is enclosed to stop whales and dolphins getting out and instructors tame the mammals before they are transported to dolphinariums around the world — a practice many animal conservationists consider cruel. 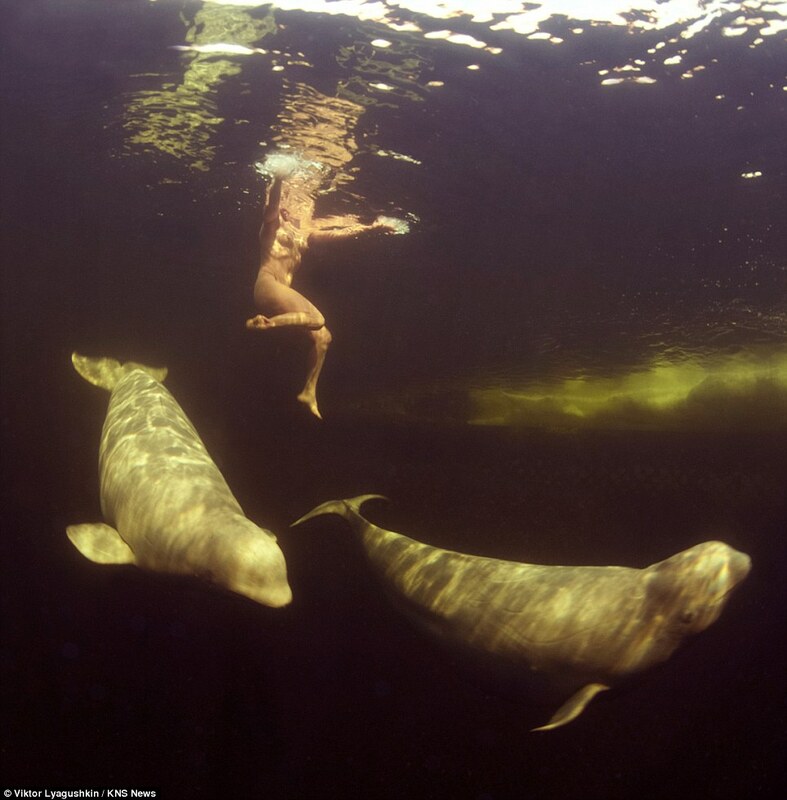 Belugas have a small hump on their heads used for echo-location and it was thought that there would be more chance of striking up a rapport with them without clothes as a barrier. For thousands of years, Buddhist meditators have claimed that the simple act of sitting down and following their breath while letting go of intrusive thoughts can free one from the entanglements of neurotic suffering. Now, scientists are using cutting-edge scanning technology to watch the meditating mind at work. They are finding that regular meditation has a measurable effect on a variety of brain structures related to attention — an example of what is known as neuroplasticity, where the brain physically changes in response to an intentional exercise. The same researchers reported last year that longtime meditators don’t lose gray matter in their brains with age the way most people do, suggesting that meditation may have a neuro-protective effect. A rash of other studies in recent years meanwhile have found, for example, that practitioners of insight meditation have noticeably thicker tissue in the prefrontal cortex (the region responsible for attention and control) and that experienced Tibetan monks practicing compassion meditation generate unusually strong and coherent gamma waves in their brains. GROUP psychology involving Buddhist meditation can be as effective at combating depression as medication, a study published today in the Journal of Consulting and Clinical Psychology has found. Fifteen months after an eight-week trial, 47 per cent of people with depression who under-went therapy suffered a relapse, compared with 60 per cent of those taking antidepressants.